A Powerful New Ending To A VERY Old Story…. SPOILER ALERT: If you haven’t seen the film… don’t read my blog… it may ruin the film for you. 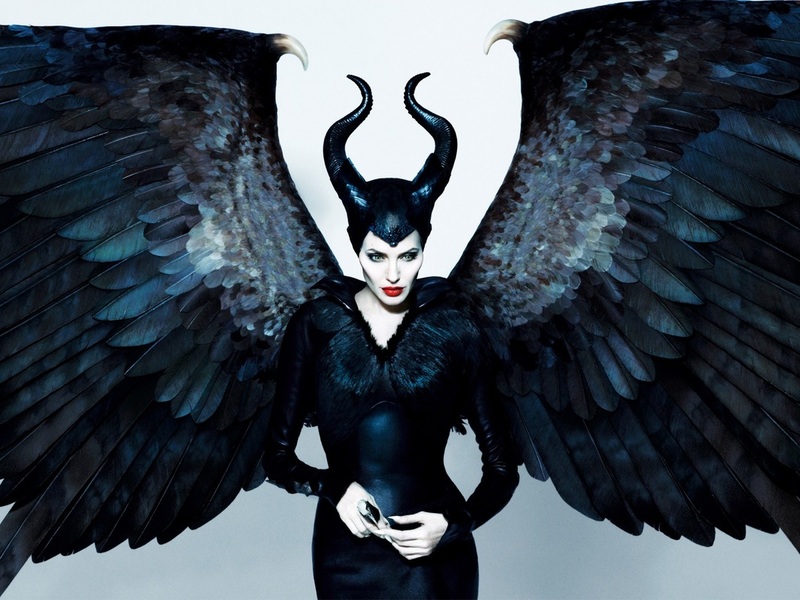 Last night my husband and I watched the film Maleficent. I was very excited to watch a version of the story of Sleeping Beauty. What I did not know about the film was that it “rewired” the original story expressing what I truly believe to be a new zeitgeist emerging in our world; one that I am very, very excited about! In the original story of Sleeping Beauty (Disney version…) we remember a witch who wanted to be “The fairest one of them all….” as she looks into the mirror. Wanting to be “the fairest of them all” positions this Disney tale to address the archetype of envy. Envy, when it is unconscious of what it desires, seeks to destroy the very object that it envies. In the most simplistic way, let’s say I desire a brand new shiny car. I can’t admit to myself that I desire this car, so, when my friend shows me her bright red shiny new sports car I secretly key the car creating a scratch on the beautiful new paint. I destroy the very thing that I desire. What I find to be psychologically true is that the aging ” Witch’s envy” does not necessarily mean envy of the “beautiful one” (although there IS that issue…..). I see the aging Queen’s envy directed toward what is new, original, possible, and threatening to an old way of being- antiquated perceptions, thoughts, and feelings about the world. The truth is that the old way WAS the best way, once upon a time, and now, as change would have it, it must be put aside. That OLD way does not usually take well to new change. Psychologically the old way can find ways of trying to “kill” the new way. Doubting voices inside of our heads can be the “poison apple” that we eat- putting the new dream/desire to sleep. But, like in the Garden of Eden, the apple seems to be a very necessary prop. We can’t seem to wake up without falling/being asleep first. This can include, even, a new way of humanity understanding what it means to be human; to have a new perception of how we relate to our world and each other in it. What I simply loved about Maleficent was that it turned the focus of feminine shadow, envy/competitiveness on its own head. The film begins with the young “fairy” Maleficent flying about enjoying the beauty of the land and the freedom that she has with her very powerful wings. Enter the Masculine. A young boy enters the picture and, as it would seem, they fall in love. This masculine’s “ambition” decides to go down into the “human realm” where it is said that he would be exposed to greed and selfishness. This turns out to be true as he will do whatever it takes to become the new King- including stealing the wings/power of his once beloved Maleficent. I cringed and cried (spoiler alert) when Stefan poisons Maleficent and cuts her wings off with a knife. He has stolen her freedom, her independence and her sovereignty. He has not only deeply betrayed her but his wounding and theft serves as a means to marginalize and isolate her. This betrayal and theft of what belongs to her naturally has left her POISONED with bitterness. She builds a wall of thorns around her that cannot be penetrated. Isolation serves as a further means to disempower As humans, we are not meant to be disconnected from others; we need other human beings in order to thrive. I can’t say that I blame her for going to the castle and putting a spell on the newly appointed King Stefan’s newly born daughter! Where have you experienced this kind of deep betrayal and theft by someone who was supposed to love and support you? Did it make you murderous? Vengeful? Poisoned? How did that poison work its way into wanting to kill off something new and creative inside of yourself? What did your wound look like? I certainly have had my own. Paradoxically, Maleficent ends up being a kind of “guardian angel/fairy Godmother” to the “little beast” whom she has cast a spell on . Maleficent ends up oddly “mothering” and nurturing the very thing that she “hates.” She begins to fall in love with this new princess, Aurora (the name for dawn or beginning of a new day). Maleficent wishes to undo the spell of eternal sleep that she cast on the princess, but she cannot. Since we all have a fate that we must live, the Princess cannot be protected from hers. And she escapes to the castle after being protected in the paradise of the countryside the day before her 16th birthday- one day before the age of being protected from the spell. Upon seeing his daughter, the King places her in solitude in the castle to maintain protection from the spell. The King cannot be bothered with this reunion with his daughter- he is plotting a war/a battle. The princess, needing to live her fate out, of course, pricks her finger on the spindle and falls into the spell that has been cast upon her. What we know from fairy tales is that the only thing that break a spell is a genuine act from the heart- a kiss of true love. What we know from the fairy tales is that the sleeping princess must be awakened by the kiss of the prince who loves her. The brilliance of this film is that the kiss of the prince is not the kiss that awakens her. The kiss of love that breaks the spell comes from none other than Maleficent herself. Maleficent weeps at the thought of loosing her connection to Aurora and in a beautiful, genuine act form her heart- gently kisses Aurora on the forehead. This reminds me of the powerful Jungian thought that the same archetype that wounds is the very thing that has the medicine to heal. Not only did the princess wake up, but Aurora liberates Maleficent’s stolen wings. In the final battle, Maleficent has her wings/power back and carries the old King off to his death. I hadn’t been watching it thinking that it was feminist or not. What I did think was that the film captured a new myth. There is a new energy in the collective where the love of a woman to another woman can lift the spell of sleep. What I mean by this is that women are supporting and encouraging each other in ways that do not include envy and competition. I think that we know that it is interdependence and not competition, separation and war that will help our human species along before we destroy it anymore than it has already been destroyed. It is the feminine principle waking up the dormant, sleeping feminine ways of interdependence, cooperation/unity and the feelings of gentleness, regret, remorse and love that has been missing for over 3000 years. Women symbolically kissing other women. Passing on the power of love and not the old myth of envy and destruction. Women do not need to compete with each other in order to ensure that the species survives. Women choose whether or not to be married, to have children, or to even be involved with a man at all. Thinking back on my own life, I cannot underestimate the healing that I have felt in my own soul from feeling the love and support of other women and men. Even small gestures such as my Naturopathic doctor offering me chicken soup when I went to see her coming down with a virus. Or a hug from a powerful Nepalese Shaman who embodied the Great Mother saying, “No one will every hurt you again.” Or women and men whom I have friendships with who cheer me on and celebrate my own genius without envy or deception. These gestures are the kiss that changes the tide from focusing on competition and war into what has been missing for 3000 years. What has been missing is the power and gentleness of the feminine principle and the feeling values of relationships, Eros/love, community, kindness and trust. This feminine kiss is the gesture that moves us out of the old patriarchal ruling principle of separation and war. The old way of believing that it is “every man/woman for his or herself….” is over. We cannot sustain the illusion of this kind of separation if we are to survive as a species. We are interdependent with one another. It behooves us to assist one another in order to thrive. This emergence of supporting and sustaining ourselves as a global community is, I believe, an emergence of a new myth- a brand new end to the story that we thought that we knew so well. The story is being rewritten now. It is time.